Ainu dogs are the oldest breed of dog in the world. 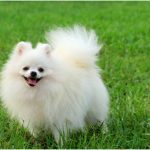 Theyoriginated from the mountainous region of Hokkaido Island.The Ainu Dog is a Japanese Spitz breed.They are rarely seen outside the country of Japan.Reports have shown that about 3000 years ago these animals were descended from the usual dogs. These dogs were medium sized and had arrived on the island along with others from the mainland. 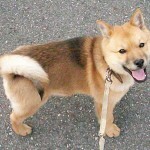 The dog was named Ainu after the name of tribe Ainu tribe. The Ainu are thought to have kept these dogs from the beginning and they respect them in the same way as other human beings.The Ainu Dog is probably the oldest of the Japanese breeds.It is observed that due to cross breeding the characteristics of the Ainu dogs have changed a little over the years but still this breed is said to have a very wild streak. 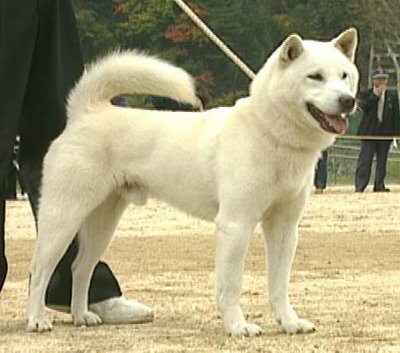 The Ainu dog is a thin and muscular dog. They are normal sized i.e. neither too tall nor too short and has tiny, triangular, erect ears. They are impulsive, fast and have a uniqueway of walking.The tiny eyes have a prominent triangular outline.Colours include black, tiger,red, sesame,and white, wolf-gray. The Ainu dog is known to have a fearsome expression, due to their small dark, brown eyes, a broad head and a pointed muzzle. They have relatively small and sharply pointed ears. The forelegs are straight and lean.Thisgives them a more active and energetic look. Its tongue is found to be withnumerous black spots and is hence said to have a genetic connection with the Chow Chow. Chow chow is a smaller species of domestic dog found in china.Male dogs are generally 50 cm in height. On the other hand, the females are a few centimetres shorter. Body mass is in the range of 20 kg. The lifetime of Ainu dog is about 15 years. The Ainu, with the help of Ainu dogs hunt salmon, bear and dear. These dogs were fed on meat of these animals. Now a days they are kept as pet. They are given a total of 200-400 grams of dry-dog-food per day. It is divided into 2-4 feedings a day. Food involves fish, meat and other dog foods. The adult dog is provided 300 grams of dry-dog food every day. They feel thirsty and drink water quite often. 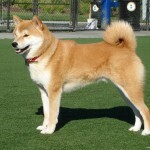 One of the most common breeds is the Hokkaido. 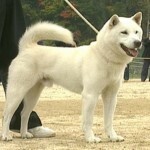 Its alternative names are Ainu-ken and Seta apart from Ainu dog. 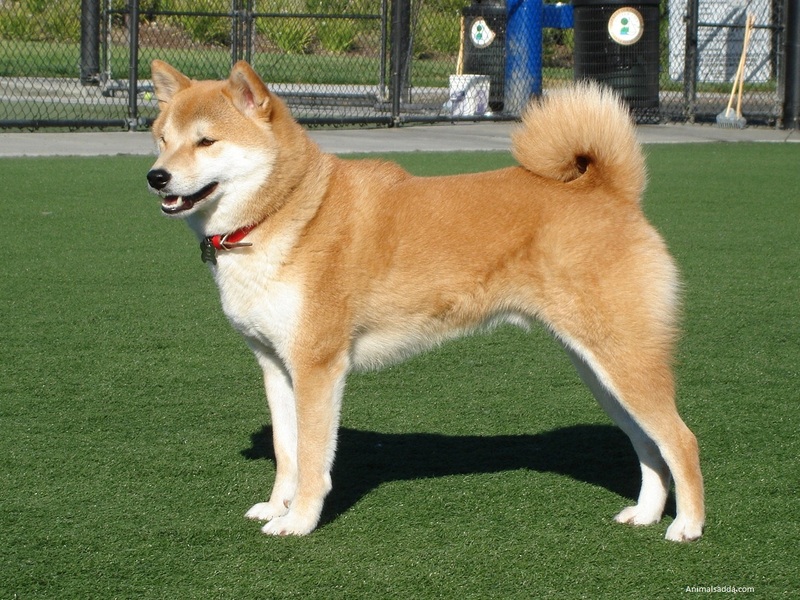 The Ainu Dogs were initially originally bred by the nativehunters. 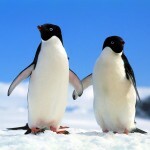 They help them in catching food, and provide protection against large animals. Despite its long history as a working breed, the Ainu Dog now performs the role of family pet and hunter due to their alert and incredibly bold nature. In ecology, predator is an organism that feeds on the prey that it hunts. Ainu dog serves as a good home guard along with it they are quite good hunters. The Ainu people brought this his Spitz-type dog with them about 3000 years ago. They help them to catch salmon, hunt deer and to protect them from large animals. Apart from can hunting bear and dear, they can hunt cicadas, mice, birds, snakes, and cats in the backyard. Sometimes they hunt for fun purpose. At that time they don’t eat the prey. 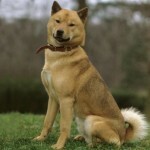 The Ainu Dog can live to be 15 years and are known to have relatively few genetic health issues. On average, the female has around 7 puppies per litter. They are born both blind and with hardly any fur. 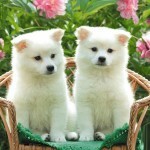 From the end of first month itself, these dogs become able to stand up themselves and have a history of growing up rapidly. The Ainu dogs should not be allowed to run free around other animals. They behave well with children if they are raised with them as pups. Ainu dog is not recommended for apartment life. They are moderately active indoors. 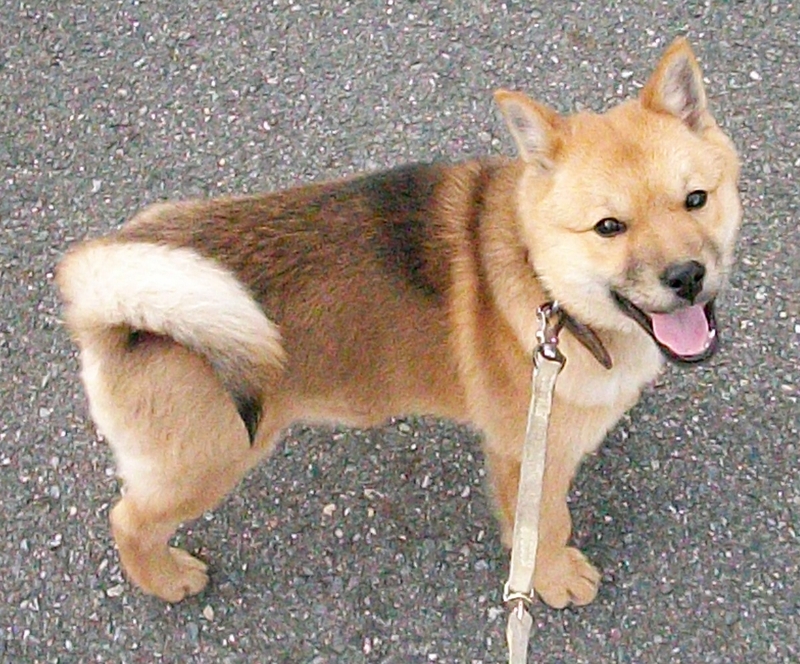 The dog is named as Ainu for its courage nature. They can actually take on very large Bears, a number of times their size, in order to protect their owner. Today, they can be found in households in some parts of Europe and America. The Ainu Dog are considered a cherished national breed by the Japanese people. 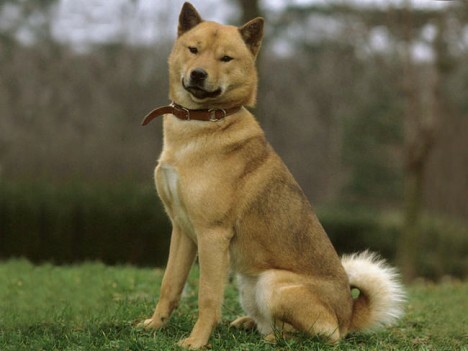 In 1937 Hokkaido-Ken was declared as the official name of the Ainu dog.The breed typically remains healthy and there are no known health issues. Dogs of this breed are found to be very faithful to their owners. They have a great sense and experience of choosing the right direction and so they can return to the owner, no matter how far the distance may be. The Ainu dog can withstand in cold and even in snow fall. Ainu dogs have a double coat of thick fur to protect them from in extreme climate. 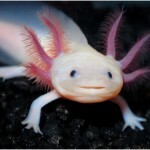 The characteristic are by cross breeding, so that they can survive in any climatic condition. The Ainu Dog is also known to howl.They are exceptionallyenergeticdogs. They are good hunters. Apart from hunting they can be kept with children if they are raised with them as pups. They are smart, alert and more suspicious dogs. They are faithful to their owner. The dogs need exercise, so let them run in the backyard. They should be kept in good shape as they have grown in colder areas. They have poor appetite during the daytime due to heat. They get a bit annoyed if they tied for more hours.Use a soft and strong collar, as hard collar itches.They should be properly trained to obey their master. Ainu dogs are faithful and obedient when they are kept as pet.They are well known for being sanitary and exceptionally clean. 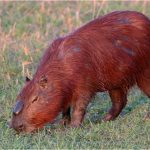 Their size is quite contrary to their physical abilities and activities as these were previously used as reliable hunters by the Japanese.